By Amy Sherman on Monday, August 3rd, 2015 at 5:17 p.m.
Hillary Clinton gave a speech in Miami in which she called for lifting the Cuba embargo -- and she did it on the home turf of embargo supporters and GOP rivals former Gov. Jeb Bush and U.S. Sen. Marco Rubio. "The Cuba embargo needs to go, once and for all," she said at Florida International University July 31. The anti-Democratic America Rising PAC accused Clinton of making a "sudden flip flop on Cuba." Well, it wasn’t exactly sudden. We decided to put Clinton’s statements since 2000 on the embargo on our Flip-O-Meter, which doesn’t pass judgment on changing stances but evaluates whether a candidate has flipped and to what extent. Some voters see some flips as a sign of inconsistency, while others view flips as a sign that a politician has the ability to compromise or adapt their positions to the wishes of constituents. First, a word about lifting the embargo, which would require action by Congress. In 1996, President Bill Clinton signed the Helms-Burton Act which prevents the embargo from being lifted until Cuba holds free and fair elections, frees political prisoners and allows for a free press and labor unions. Cuba did release some prisoners as part of the deal with the United States but has not met all of these conditions. Clinton spoke about Cuba in 2000 when she was running to be the U.S. senator from New York. After a speech to the Council on Foreign Relations in October that year, an audience member asked Clinton for her position on the embargo. "I believe before the United States should lift the embargo, Castro should make some good faith show of moving toward ending repression, freeing political prisoners and some steps toward democratization," she said. Clinton also said that while she supported increasing food and medicine exports to Cuba and allowing more travel, "I’m not ready to vote to lift the embargo." In July 2007, Obama said in a debate he would meet with Cuban leader Fidel Castro and Venezuelan President Hugo Chavez. The next day Clinton said that was "irresponsible and, frankly, naive." In a December 2007 debate, Clinton said: "Until there is some recognition on the part of whoever is in charge of the Cuban government that they have to move toward democracy and freedom for the Cuban people, it will be very difficult for us to change our policy." In January 2008 in a statement accompanying a questionnaire released by the Cuban American National Foundation, Clinton said now is "not the time to consider wholesale or broad changes to our Cuba policy." In a debate on Univision in February 2008, Clinton said "as president, I would be ready to reach out and work with a new Cuban government, once it demonstrated that it truly was going to change that direction." In her 2014 book Hard Choices, Clinton wrote that near the end of her tenure as secretary of state, she recommended that Obama review the embargo. She wrote that the embargo "wasn’t achieving its goals, and it was holding back our broader agenda across Latin America. After 20 years of observing and dealing with the U.S.-Cuba relationship, I thought we should shift the onus onto the Castros to explain why they remained undemocratic and abusive." When Obama made his announcement on Dec. 17 about the change in Cuba policy, Clinton said she supported the change. The speech in Miami was Clinton’s first major speech as a presidential candidate about Cuba policy. It occurred amid the backdrop of polls that show the majority of Americans support normalizing relations with Cuba. During her speech, Clinton explained that she had supported the embargo in the past. The Helms-Burton law was signed after the Cuban Air Force shot down the Brothers to the Rescue plane, killing volunteers on board. Clinton said "with their deaths in mind, I supported the Helms-Burton Act to tighten the embargo." But she said that the embargo was a "failed policy" and said she agrees with Obama’s call on Congress to drop the embargo. "That last step about the embargo is crucial, because without dropping it, this progress could falter," she said. "The Cuba embargo needs to go, once and for all." She also said that if Congress won’t act to make it easier for more Americans to go to Cuba, she will use her executive authority to do so. In her 2000 campaign for Senate, Clinton clearly stated that she wasn’t ready to lift the Cuba embargo. During her first bid for president in 2007, she repeatedly called for reforms in Cuba before any such changes to the embargo. But by 2014, she was a critic of the embargo and said it hadn’t achieved it’s goals. 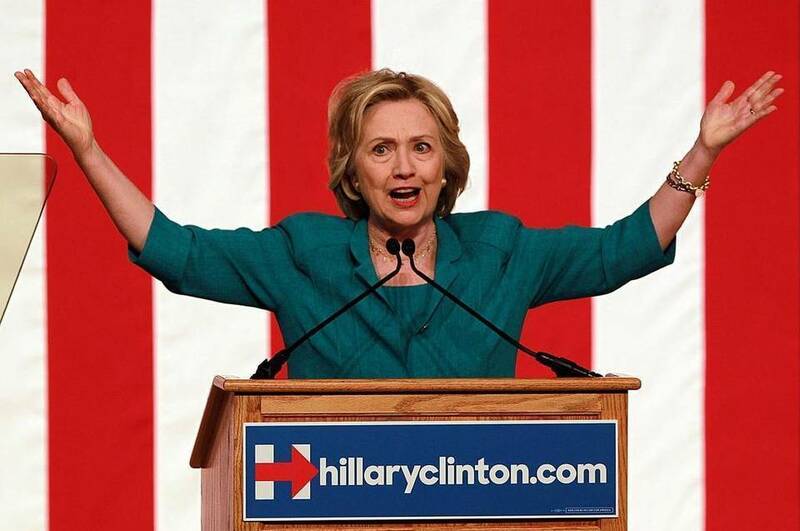 In a speech in Miami on July 31, Clinton forcefully stated that she believes it is time to drop the embargo. 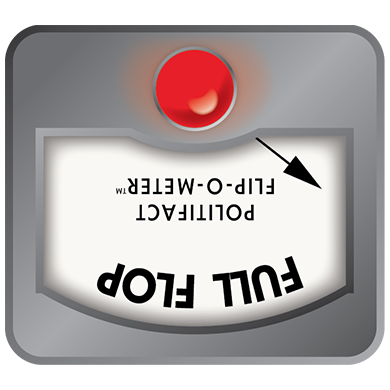 Clinton has made a full change of position, so we rate it a Full Flop. Published: Monday, August 3rd, 2015 at 5:17 p.m.